This is our main concept. 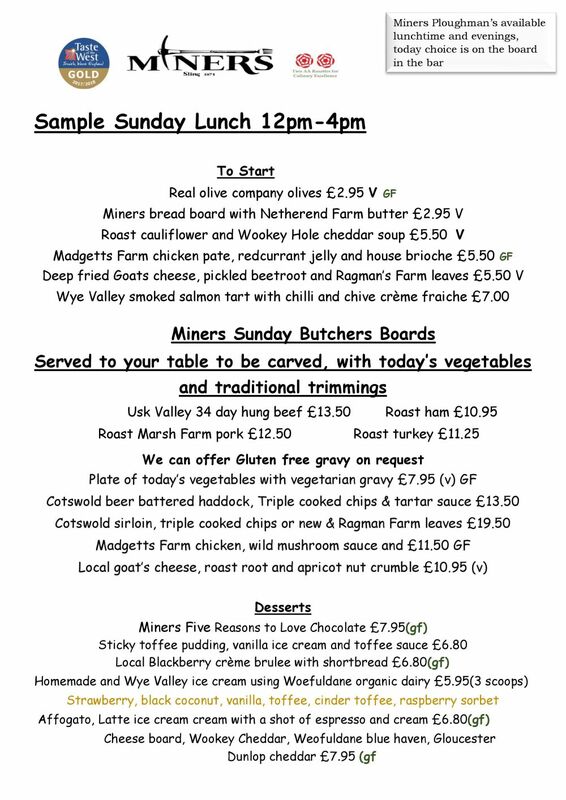 The Miners, has a daily changing menu that allows us to work closely with the abundance of local suppliers that we are so lucky to have in the surrounding areas. A limited storage and freezer space means that we keep small quanitities on site, allowing for daily deliveries of the freshest local produce. 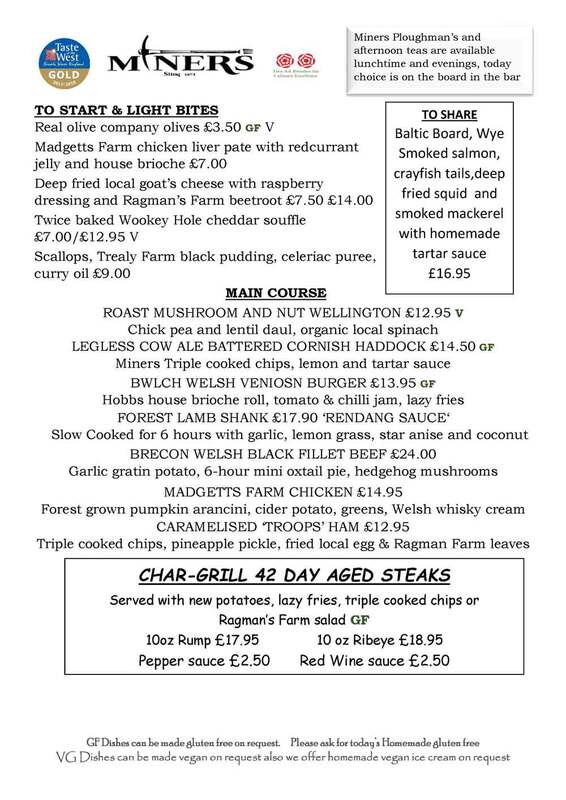 We currently use over 30 suppliers for both food and drink all within a 40 mile radius of the pub and are always on the lookout for more!! We love to promote local businesses and benefit from the reciprocity, there’s never a week where we don’t see a supplier dining in the restaurant or supping a drink in the bar. It also means that we keep food miles low and can feel assured with regards to the quality and traceability of the produce we are working with. We offer the ultimate in family dining for our Sunday lunch, succulent joints of local meats served on a butchers board to the table to be carved, accompanied by local vegetables, and traditional Sunday trimmings.